The Leeds Police Department is committed to developing and maintaining a proactive partnership with residents, businesses and visitors to solve the problems facing our community. We are devoted to building trust and confidence in progressive partnerships with our community to prevent and reduce crime, neighborhood problems, and by providing police services that are fair, professional, and respectful of the dignity of all individuals. We will equally enforce local ordinances, motor vehicle and criminal laws of the City of Leeds and the State of Alabama in a professional, respectful manner. The Leeds Police Department will continue to grow, adapt and evolve as we provide the highest level of protection to our residents, businesses and visitors of our community. Develop a cohesive team of well trained professionals with superior initiative, excellent work ethic, exceptional communication skills, deep sense of pride, working together to support the community. Develop a positive community relationship, fostering open communication, understanding, and problem solving; which promote progressive law enforcement, public education and safety initiatives. Develop an atmosphere of equality by fairly enforcing the law, maintaining high visibility to detect and deter crime and work with other governmental agencies to address community concerns. 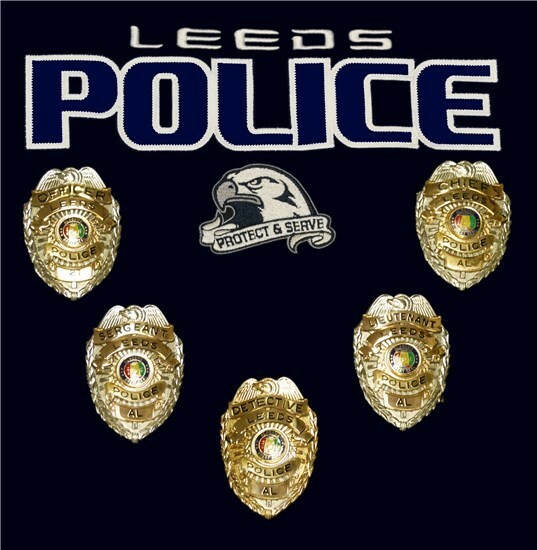 The Leeds Police Department exists to serve our community. Our primary responsibility is the service to our community. We will respond to our community enthusiastically and professionally. In fulfilling our mission, we need the support of our citizens, elected representatives and city officials in order to provide the quality of service our values commit us to provide. Dedication – Leeds Police Department employees will be loyal to the community, profession, and organization. We fulfill our mission by constantly improving and acting in a professional manner. 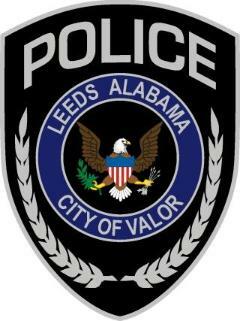 Integrity – Leeds Police Department employees will be fully forthcoming and honest. We derive our authority from our community. Integrity, truthfulness and justice are cornerstones of our interaction with each other, with our community, and our profession. Respect – Leeds police Department employees will treat all people with fairness and dignity, recognizing that to earn respect we must demonstrate it, in all that we do. Compassion – Leeds Police Department employees will show genuine concern and empathy for others, always honoring our responsibility to do what is legally, ethically and morally right. Vigilance – Leeds Police Department employees will be ever alert and aware, approaching all duties with diligence and steady care. Improve internal proficiency through the use of technology.